Berlin, 20. 3. 2019 Participants from six continents applied for the Green Product Award and the Green Concept Award. The figures prove - the international interest in the Green Awards continues in its sixth year: Contributions from 34 countries made it into the pre-selection, the Green Selection. Australia, Brazil, Denmark, China, Germany, India, Israel, Italy, Colombia, Nigeria, Taiwan, and many more. "The point is that better green products replace existing ones. For this we offer the platform and the network with the award. I am very pleased that the companies have submitted so many green solutions this year." Nils Bader, initiator of the Green Product Award. National United University / Cheng Loong Corp.
From now until 30. 4. the public is invited to vote for the winner of the audience prize. In 2018 over 5000 people took part in the election. We cordially invite you to vote and share. Prof. Claus-Christian Eckard, former Bosch Chief Designer and now Director of the Lund Designschool, Anna Theil, Head of Content at Startnext, is particularly dedicated to the young participants. 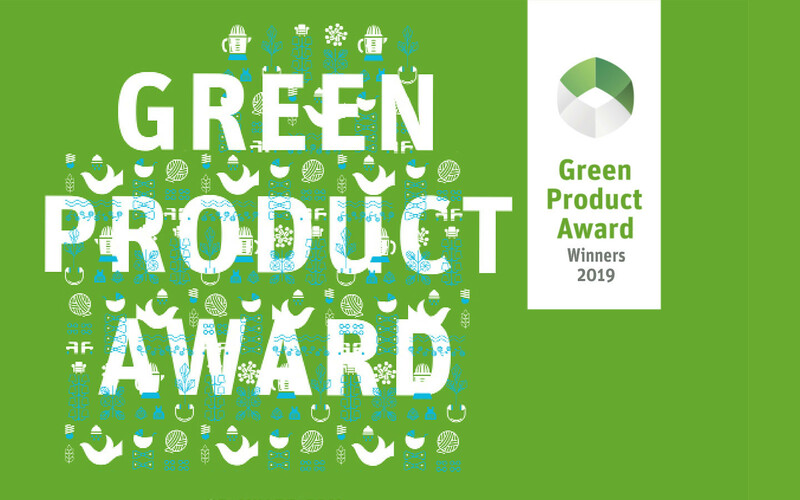 The Green Product Award is an annual international competition for innovative, sustainable products and services that has been held since 2013. It is aimed at established companies & start-ups. The vision is to bring stakeholders together and encourage the exchange of experiences and ideas across industries to accelerate the development of green innovations. The aim of the award is to create a collection of green solutions for consumers & buyers to make products more visible and help manufacturers market them. Since the start of the competition, 2103 participants from over 40 countries have submitted their solutions and ideas. Their submissions have since been presented live to more than 800,000 interested parties at international trade fairs and design festivals. Cooperations, international media reports, workshops, licensing and investments confirm the collaborative approach of the award.